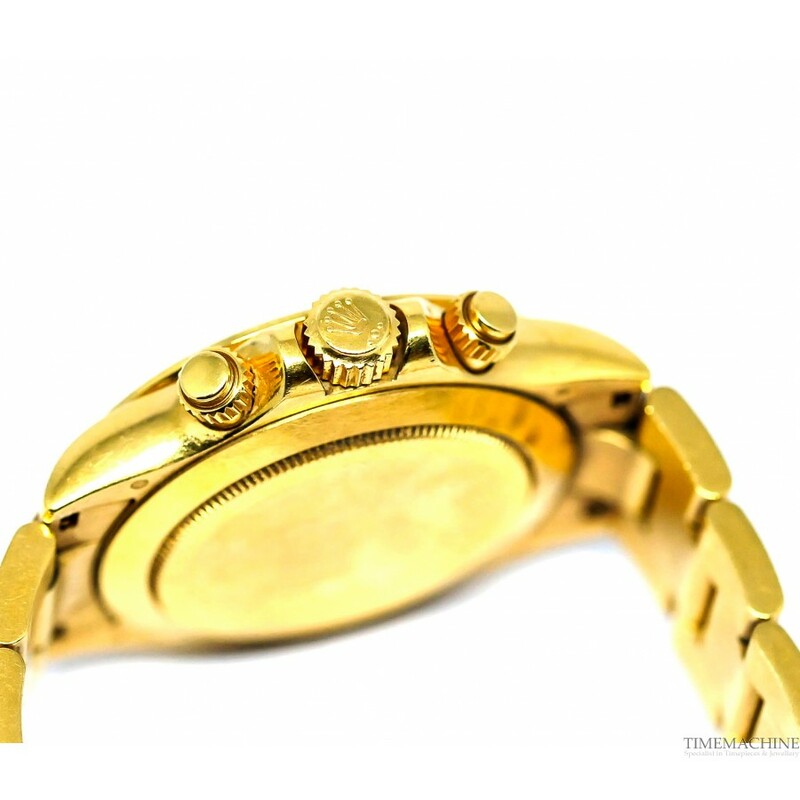 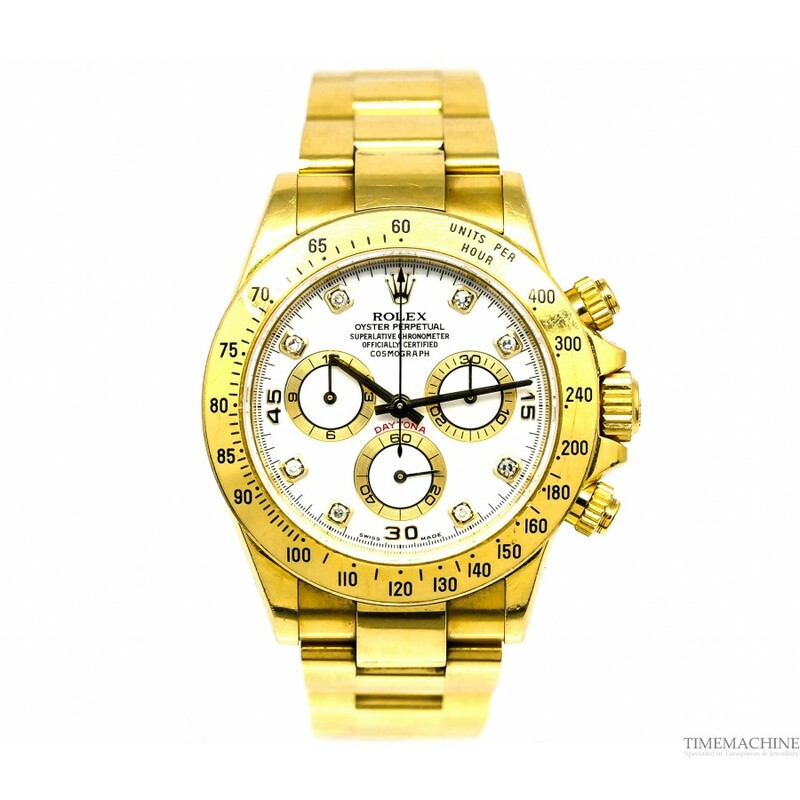 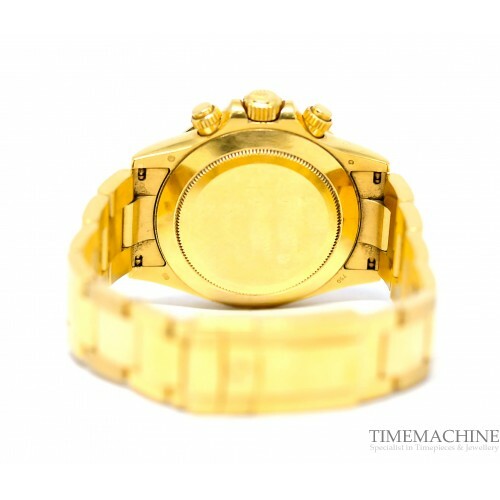 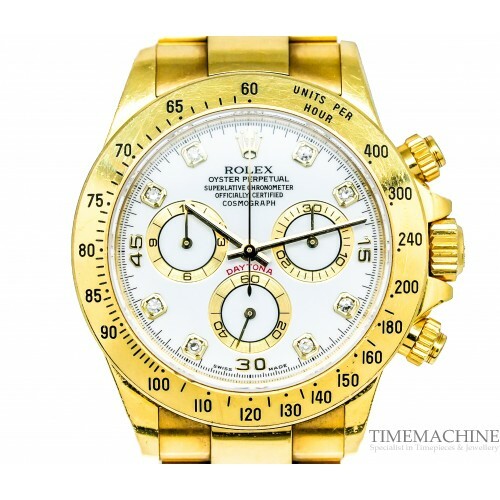 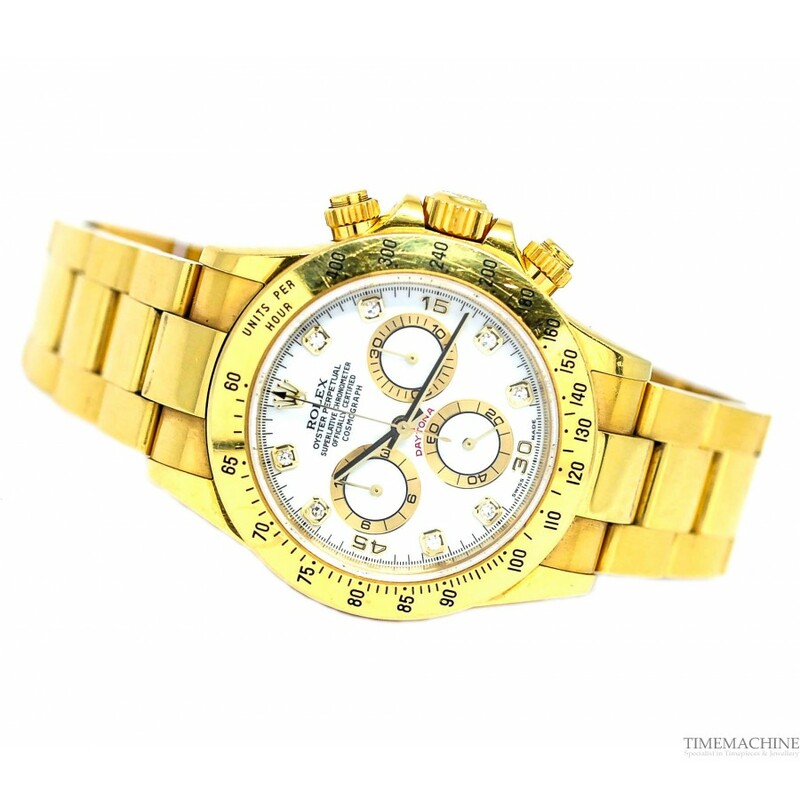 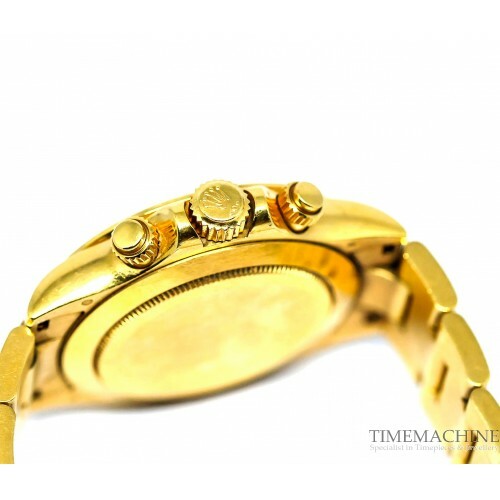 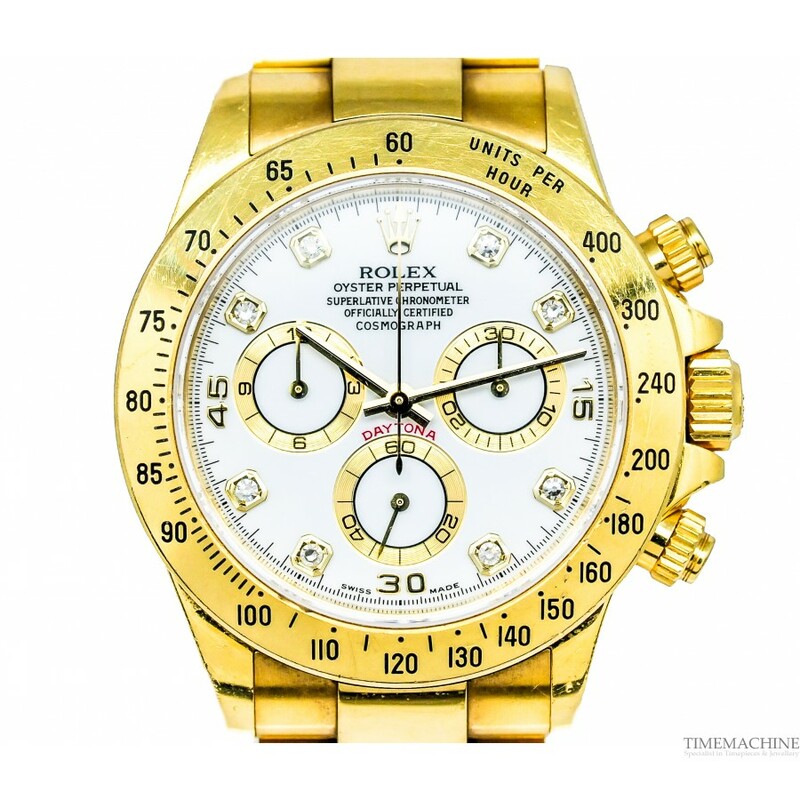 Pre-Owned Rolex Daytona Cosmograph Ref:16528, 40mm 18k yellow gold case, white dial with diamond dots, tachymeter, date indication at 3, automatic movement, scratch resistant sapphire crystal, 18k yellow gold bracelet, folding clasp, water resistant. 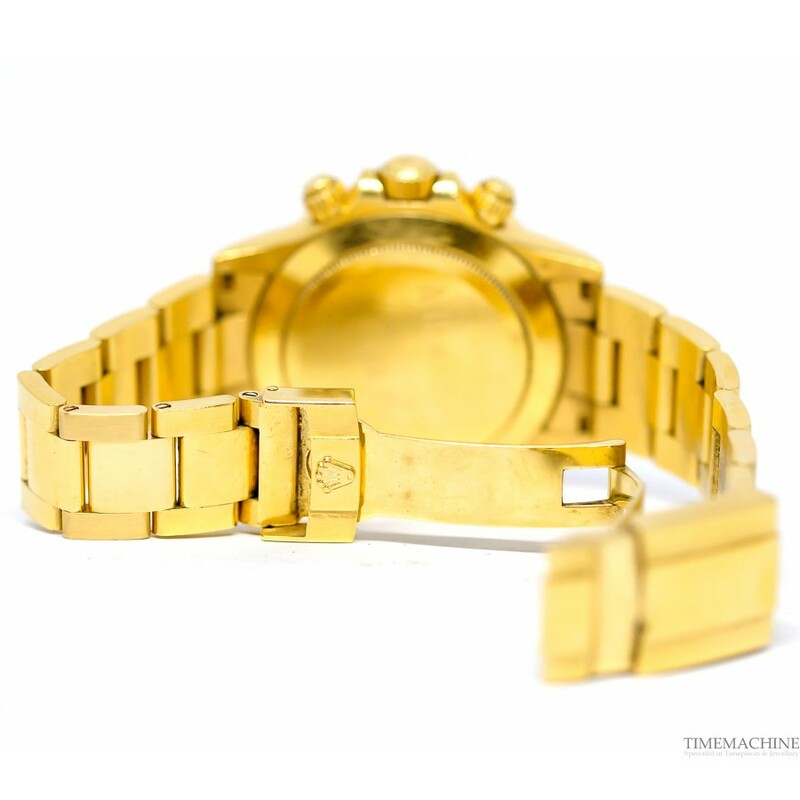 Complete Set of Original Box and Original Papers along with a 12-month TM mechanical guarantee. 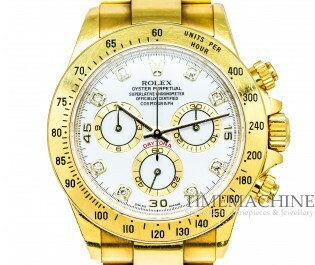 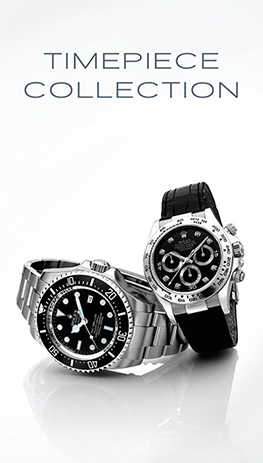 Please quote 4602 in all communications with us regarding this Timepiece.